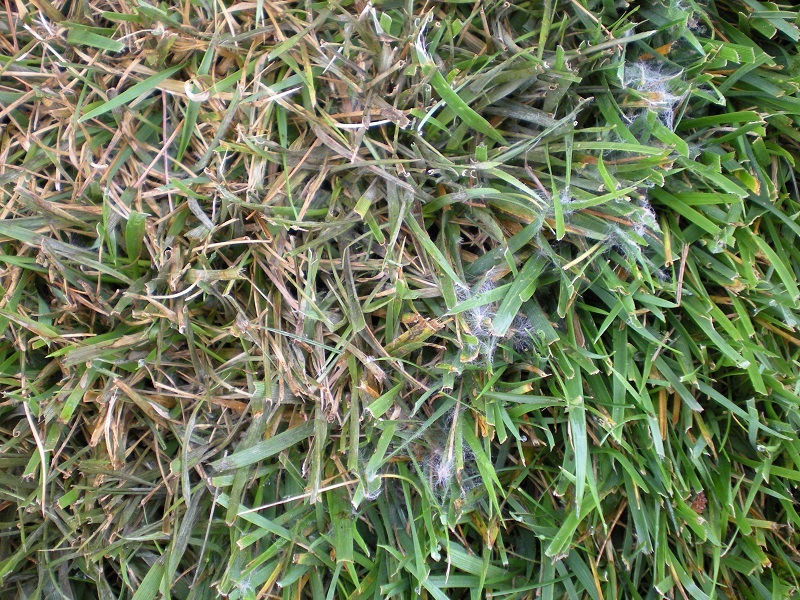 In the presence of a susceptible host and a conducive environment, plant pathogens can disrupt play by damaging and destroying intensely managed turf. 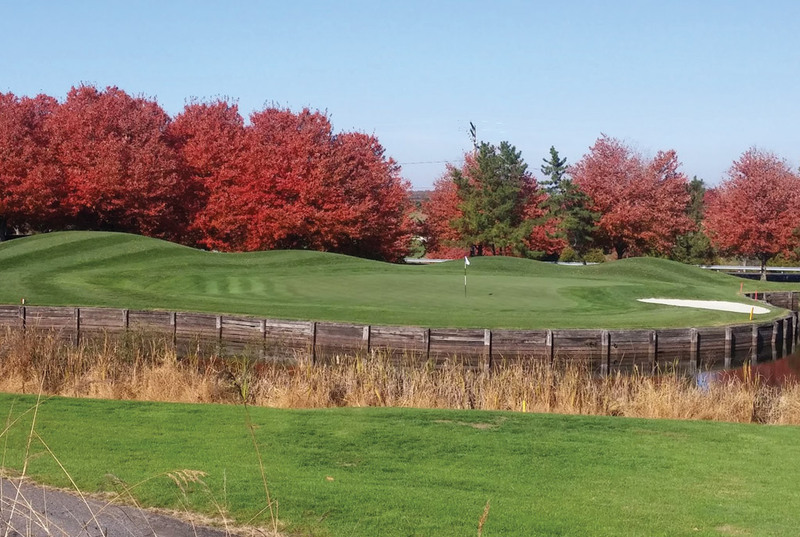 While no measure can completely eliminate the threat of turfgrass disease on a golf course, turfgrass managers have multiple tactics and tools that can reduce the likelihood of disease. The most common cultural abuses that aggravate turf diseases include close and frequent mowing, poor drainage, excessive thatch, light and frequent irrigation, inadequate or excessive nitrogen fertilization, shade, and traffic. 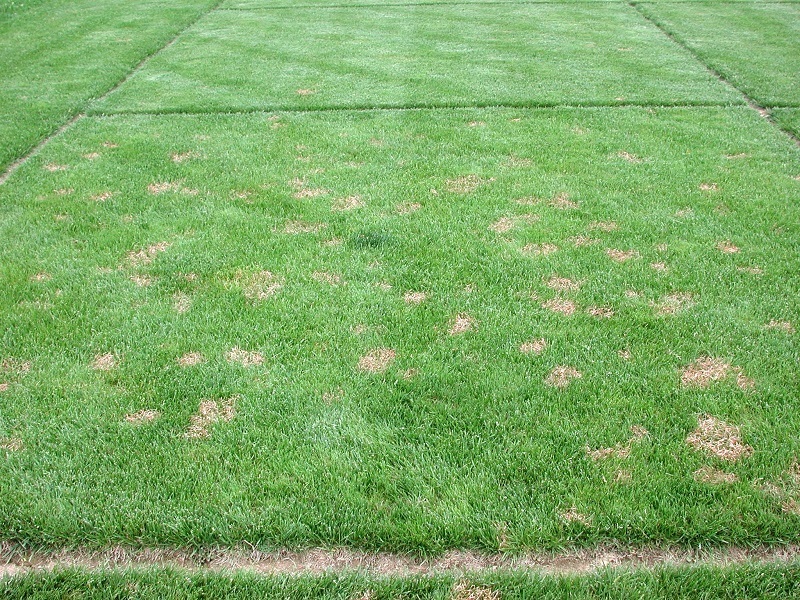 An example is summer patch, which is particularly damaging when turf is mowed too closely, given light and frequent irrigations, and fertilized with excessive amounts of nitrogen. The use of BMPs for cultural practices promotes healthy, well-managed turfgrass that is less likely to develop disease problems. 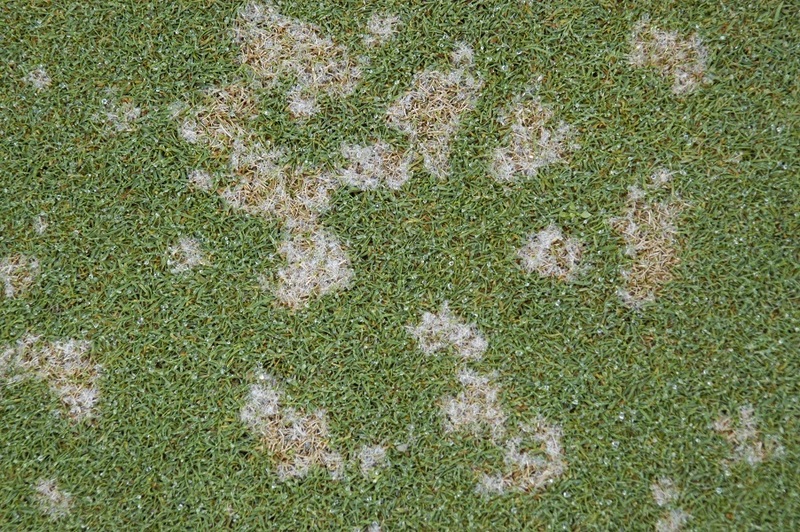 Disease outbreaks that do occur are less likely to be severe on healthy turf because it has better recuperative potential than stressed, unhealthy turf. Maryland Turfgrass Disease Control Recommendations. University of Maryland. Red Thread and Pink Patch Diseases of Turfgrasses. 2007. University of Maryland. Identification and Management of Brown Patch. 2011. University of Maryland. Dollar Spot Disease of Turfgrasses. 2003. University of Maryland. Summer Patch Disease of Lawn Grasses. 2003. University of Maryland. Ensure that proper cultural practices and traffic control that reduce turfgrass stress are used. Fungicide use should be integrated into an overall management strategy for a golf course. Apply a preventative pesticide to susceptible turfgrass when unacceptable levels of disease are likely to occur. Dollar spot. Photo credit: Joseph Roberts. Red thread disease. Photo credit: Thomas Turner. Brown patch mycelium. Photo credit: Thomas Turner.